From concept to a stunning production car, the Crown deserves its name. Now moving to its 15th generation form, Toyota has finally launched the all-new Crown in Japan after six years. 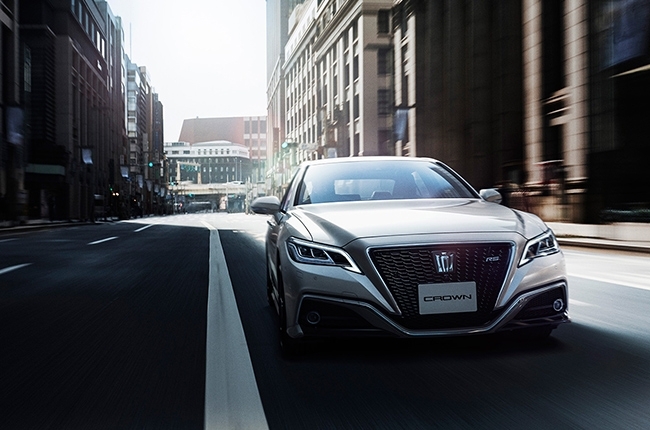 Looking into its new style, the all-new Crown looks like it got some inspiration from Lexus LS with its sleek and elegant design, swept back front fascia, and grille that extends up to the bottom of the bumper. Of note, this luxury sedan is longer than its predecessor with 695mm difference. 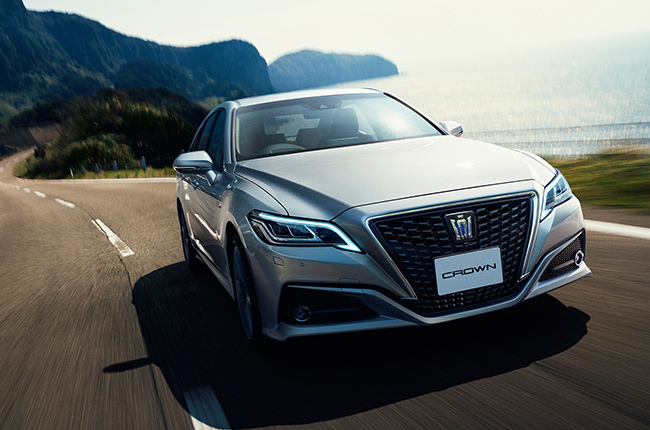 Just like the concept version exhibited at the 2017 Tokyo Motor Show, drastic changes were made for the Crown not only in the exterior but also in its interior and technological aspects. The new cabin is designed with sophistication thanks to its premium materials and modern trim. The elegant sedan is available in seven exterior colors and seven variants. 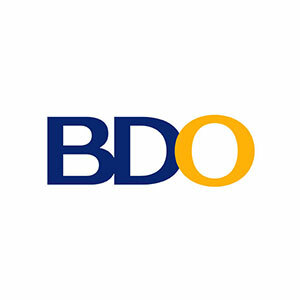 Replacing the ‘Majesta’ name for high-end variants are the letters B, S, G, and G-Executive. Meanwhile, the name ‘Athlete’ used for sportier trims before are now dubbed as RS, RS-B and RS Advance, which translates to Racing Spirit. 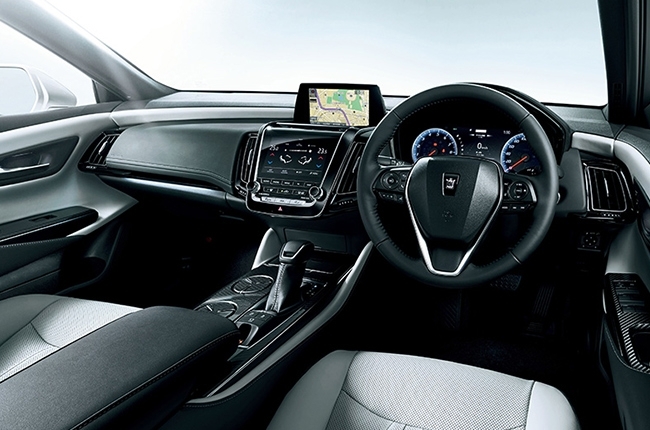 For better comfort, its wheelbase is extended by 695mm to give a more spacious rear legroom. The Crown also features newly-structured seats for added coziness and luxurious drive. G-Executive trims, on the other hand, are adorned with premium wooden panels, LED door lighting and a second-row air conditioning system. The ride will never be boring with its seven-inch display placed on the center console, integrated with a floating eight-inch screen that sits behind it. Aside from its classy appeal, Toyota is also committed in bringing new technology to the Crown that’s why it’s packed with various connected services. Data Communication Module (DMC) system comes as a standard, in which owners will receive driving guidance, vehicle diagnosis, and maintenance alert based on real-time driving data. 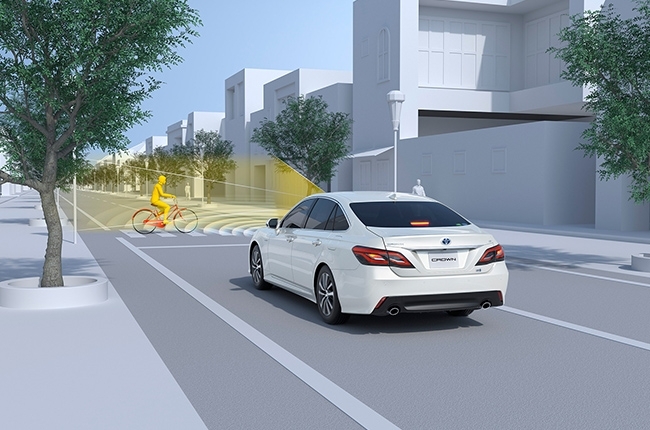 Not only that, the whole Crown family is equipped with second-generation Toyota Safety Sense package with pre-collision safety system that can detect pedestrian and bikes. 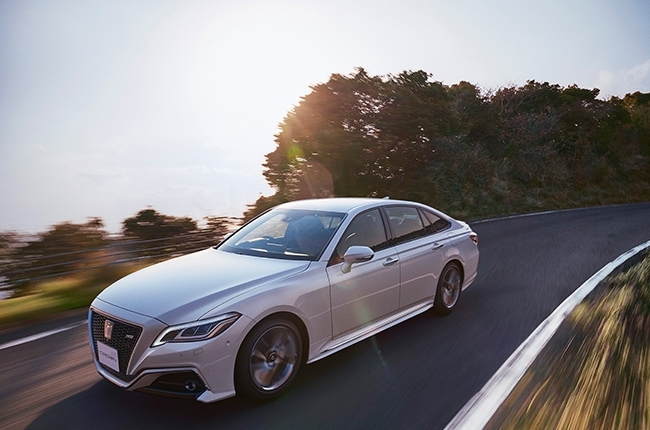 Other safety features include Dynamic Radar Cruise Control, Lane Tracing Assist, Automatic and Adaptive High Beam System, and Road Sign Assist. 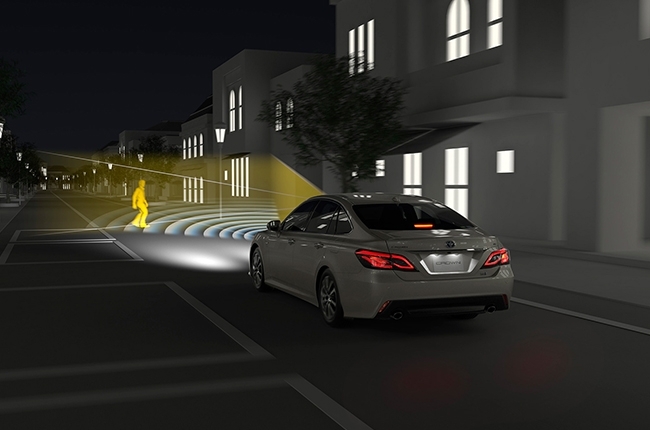 The Crown is also the first Toyota that has rear pedestrian support break, which uses camera to detect pedestrians to activate alerts and brake control. 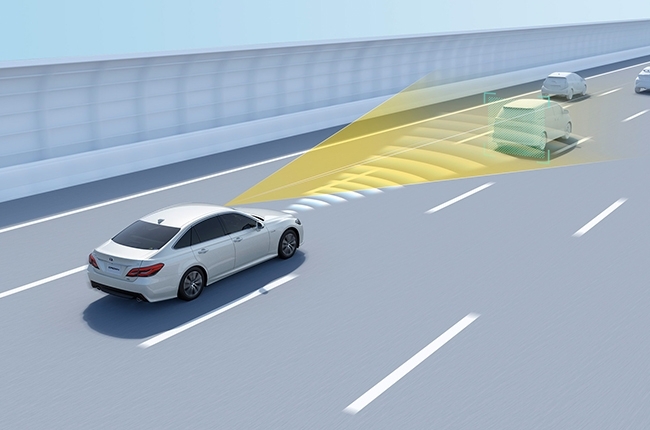 All of these systems aim to avoid any possible collision or lessen the risk of accident. Based on Toyota’s New Global Architecture (TNGA), the 2018 Crown comes with two drive configurations (rear-wheel drive and four-wheel drive), and three engine options. The base variant is run by a 2.0L turbocharged engine that delivers 242 hp and 350 Nm of torque, paired with 8-speed automatic transmission. Two hybrid engine units are also available, including Toyota Hybrid System (THS II), which offers a 2.5L TNGA dynamic force engine that can put out 182 hp and 221 Nm of torque. Its electric motor can squeeze out 142 hp and 300 Nm of torque, producing a total of 223 hp from the entire system. Another first for the Toyota Crown is the incorporation of Multi Stage Hybrid System which can also be seen on Lexus LS 500h and LC 500h. This power plant system embraces a 3.5L Dual VVT-i direct-injected V6 with 295 hp and 356 Nm, partnered with twin electric motors and a 310 V lithium-ion battery, delivering an overall output of 355 hp. 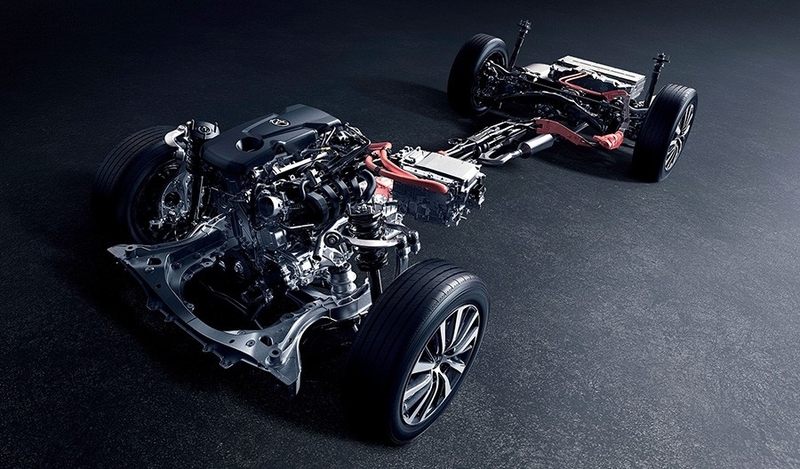 In this case, the two motors work together with a 4-speed automatic transmission to come up with a 10-speed gearbox. 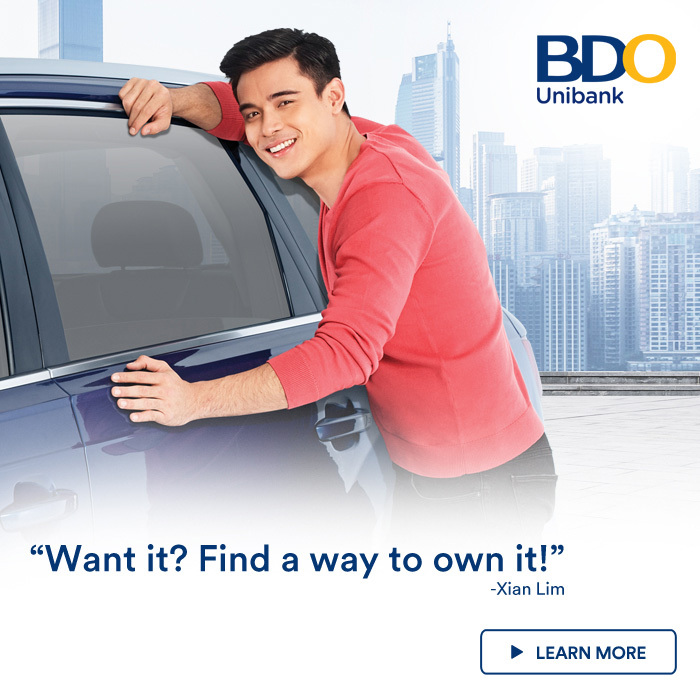 With all of its premium features and advanced technologies, there's no doubt that this sedan is living up to its fancy name, "Crown". It doesn't only exudes beauty but is also confident of its character and ability. The 2018 Crown price ranges from ¥4,606,200 to ¥7,187,400 (around P2,241,000 to P3,497,000). Once the order booking starts next month in Japan, Toyota aims to achieve a monthly sales volume of 4,500 units for this royal vehicle.